I know this is a bit late, but better late than never. Sunday afternoon, my friend Lauren hosted a High Tea at her place, complete with a variety of tea options, baked goods, and of course, fancy jams. I volunteered to make the scones, but changed it up from last time, when I made cranberry ones. 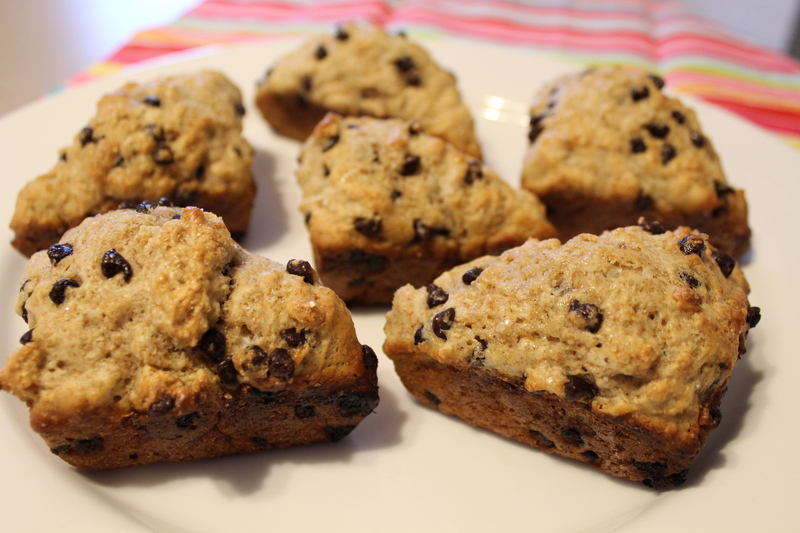 This time, I made chocolate chip scones, and I made them skinny. I started out with this recipe from skinnytaste, but made a few of my own edits. For starters, I substituted skim milk for buttermilk. I know, crazy. Dan got me all worried they wouldn’t fluff up (usually the buttermilk will react with the baking powder to give scones their fluffy texture), but fluff they did. Another change is that I added a pinch of cinnamon. Cinnamon magically makes everything tastier. I also used mini chocolate chips instead of the regular sized ones. They’re just so cute! Finally, instead of forming a large circle of dough and cutting it into twelfths, I used my handy scone pan. The recipe made eight of the scones for me, which filled the pan exactly. 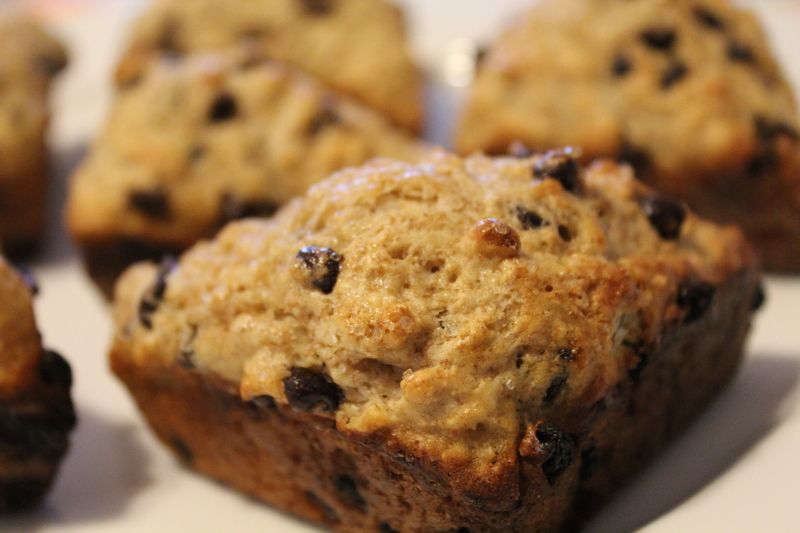 I think with my modifications, each scone ended up around 175 calories. Worth the indulgence, if you ask me.